The first city I explored in the Baltics - Vilnius. I honestly feel like the Eastern Europe is underrated, it is beautiful, it's easy to travel around because locals especially the young people speak good English. There are a lot of history to learn, food to try, and beer to taste! Not to mention how affordable it is. I've lived in Denmark, travelled in France, Italy, and Sweden - Lithuania or Vilnius is a lot cheaper. Here, I will be listing the best hostels in Vilnius. From homely feel like accommodations to party hostels - you will find them here and why they are the one of the best hostels in the city. Here are some tips if you don't know what to do in Vilnius during your first visit. 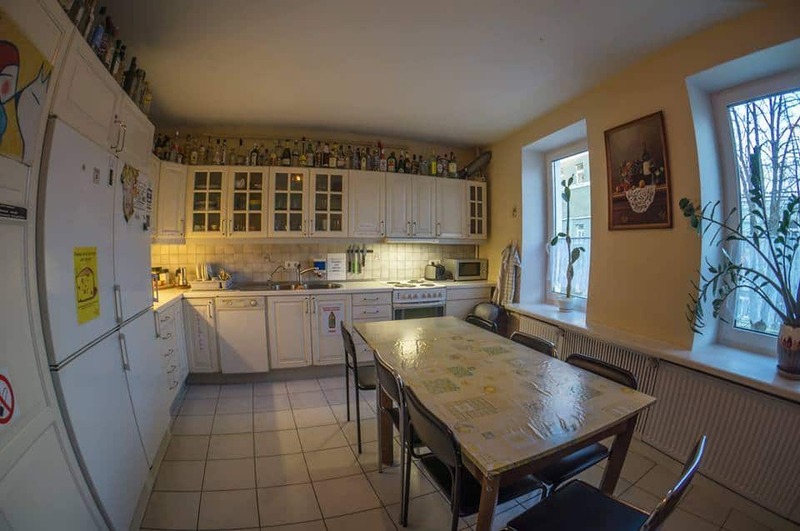 NOTE: Most of the hostels in Vilnius are equipped with a functioning kitchen. City tax will also be effective starting July 1, 2018 upon checking in. Check out the comparison table below for your preferred hostel in Vilnius. 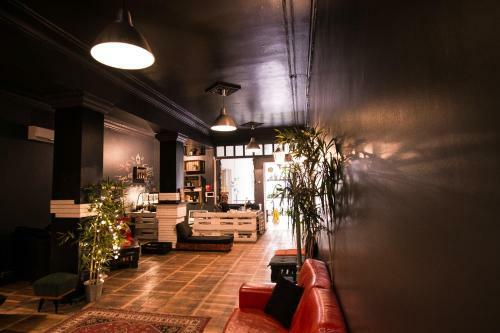 If you need more information about these hostels, scroll past the table. To determine faster which hostel in Vilnius you should book and stay, remember to check and ask yourself these related questions. During your research, find out which hostel suits best your needs and expectations. If you don't enjoy walking too much just to explore the city or get from public transportation, you should highly consider that the hostel is in the Old Town of Vilnius. If you are only staying for a night waiting for a connection flight, you should consider getting a hostel next to the bus station or to the airport. Staying in the Old Town will take you to the main attractions in the city faster and easier. In the Old Town, exploring Vilnius will be a more convenient because most of the places to see and explore are just walking distance while the popular bars, restaurants, and clubs are also not far from here. The train and bus station is not in the Old Town, however, one or two airport buses stop walking distance from the Old Town. The bus and train schedules are well-integrated with Google Maps. 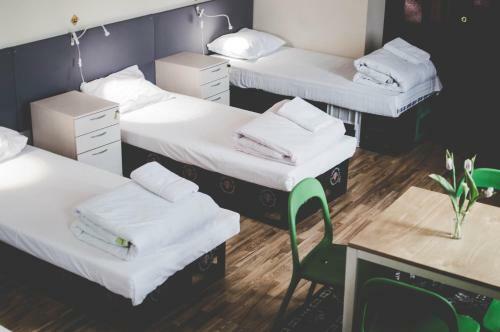 The type of a hostel you are going to stay affects your experience in Vilnius. Read carefully is this hostels is a full-on party hostel, many travellers also prefer a chill vibe hostel, while others wants a place where they can meet other travellers. Reviews are very important, both a traveller and hostel owner know that. Reviews reflect the hostel's situation, quality, and many other things. Every person is different, some may be liked that the hostel has a curfew while others don't. Don't make your decision out of total ratings, read the negative and positive reviews. Believe me, sometimes, the negative reviews are just something out of control of the hostel or the guests didn't read the hostel description well enough, therefore their expectations weren't met. However, personally, if the hostel has thousands of reviews but still managed to keep a good rating, that's already a great sign. Price - a very important topic to consider for many travellers. In this list, you will see hostels that are very cheap while others are just pretty pricey. Remember that it is often you get what you pay for. In Vilnius, you can find a hostel for $6 or one for $15, my best advice would be, if it's only for one night transitioning to another destination, I can live with a cheap one. While if I'm expecting to meet people, have a great sleep, and be comfortable, I would be willing to spend a little. 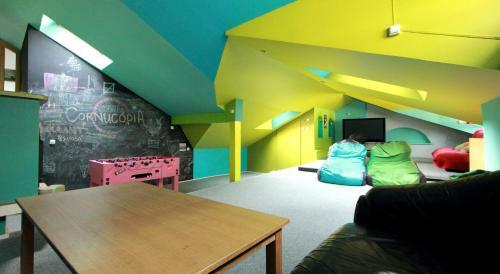 Why is it one of the best hostels in Vilnius? Jimmy Jumps House has the highest and most postivie reviews online. When I came to visit them, I totally understand why they are on the top. The staffs are very friendly, the location is perfect (right at the Old Town), they are also close to the top attractions in the city of Vilnius. Since it's not very big, it is very easy to meet people in the hostel. If you are looking for a little more affordable but with good location, Hostegate is for you. Although there is not much atmosphere in the hostel, it serves it purpose. There is a cosy common area and the staffs are noted to be very helpful. There are some issues in the cleanliness . If you are looking for something that feels more like a guesthouse or home-stay, Mikalo House is for you. Also located perfectly, Mikalo House is walking distance to most tourist attraction. If you prefer to take a bus around or to the next city, the staffs are very helpful. The common areas are also kept tidy most of the time. If you like to be in the forest like atmosphere but not far from the city centre, Downtown Forest Hostel can surely accommodate you. They are not located in the city centre per se but still very accessible. Nesting just down the hill at the area call "Uzupis", this hostel is probabl one of teh coolest I've ever seen. Their whole property is surrounded by trees and garden. They also have their own camping ground. For a little bit of a party scene and a place to easily meet people, Hostel Jamaika will be the right place. The location is not in the city centre but not bad either at it's only a few minutes walk to the bus station and about 10 minutes to the Old Town. This hostel has a bar below the actual hostel but the are the same business. Locals also love to hang out here in the afternoon or weekends. The dorm rooms are decent however, there are not enough toilets and shower area to accommodate everyone especially when it's fully booked. B&B&B&B&B is perfect for you if you down to a party all night and don't mind drunk hostelers. It is located a little far from the city centre but the bus station is not much of a walk. The dorm rooms itself are not the most comfortable and convenient but the common area especially downstairs where the restaurant and bar is located is very cosy and well-decorated. The shops like supermarkets are just around the corner and are open until late. If you are not very picky and only needed the basic, Fortuna Hostel is loved for this. They are located between the train/bus station and the Old Town. Although the kitchen is a little small, it is functional. The amenities are not in the best shape but will do the job. The staffs are helpful if you need anything, they also speak good English and can give you a lot of insider tips. It's not a drill - there is a 5 Euro hostel in Vilnius and that exactly what it is called. Even the hostel is pretty basic, it is still very well located. Literally a few steps away from the bus/train station or 15 minutes to the Old Town. The staffs are also very helpful. Note that there is a small fee for bed linens. I hope you found this article about best hostels in Vilnius, Lithuania useful. If you have any questions, let me know in the comment section below.